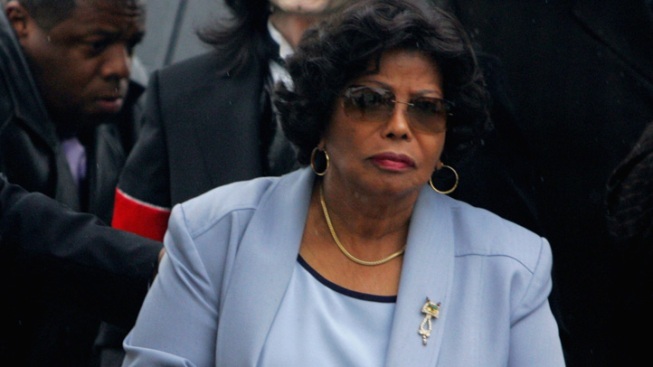 Katherine Jackson said she was kept virtually incommunicado without access to a phone or her iPad. Katherine Jackson declared in court documents that she learned she was the subject of a search when she accidentally heard a TV report. The mystery of Michael Jackson's mother's disappearance was clarified Thursday with the release of court papers that said she was kept from communicating with outsiders while at a resort and was unaware she had been reported missing. Katherine Jackson declared in the documents that she learned she was the subject of a search when she accidentally heard a TV report. Before that, she said, she was kept virtually incommunicado without access to a phone or her iPad. She said her stay at the Tucson resort was unplanned, and she went there after she was told her doctor had ordered her to rest. Before that, she had intended to take a cross-country RV trip to see her sons perform in concerts. "While there was a telephone in my room, the telephone was not functioning and I could not dial out," she said in the documents. "In addition, there was no picture on the television in my room." She told of asking repeatedly to have the TV fixed. "One morning I woke up to the sound of the television," she said. "While there was no picture, I heard a broadcast that stated I was missing." Her declaration was attached to papers filed in a request to be reinstated as guardian of Michael's children, Prince, 15, Paris, 14 and Blanket, 10. Superior Court Judge Mitchell Beckloff granted the request Thursday and temporarily named her nephew, TJ Jackson, as co-guardian. Beckloff said last week that he didn't believe Katherine Jackson had done anything wrong but suspended her guardianship duties because she had been out of contact with her grandchildren for 10 days. While at the resort, Jackson said, she was unaware that her grandchildren were worried about her and that her lawyer had flown to Tucson to contact her. "While I was away, I had no reason to question whether the people with whom I placed trust would inform me that Prince, Paris and Blanket were trying to reach me," she said. She said she had asked about the children and was told they were fine. "The day before I was brought home from Tucson, I was finally permitted to use the phone to speak with Prince, Paris, Blanket and TJ," she said. Some of Katherine Jackson's comments appeared in conflict with a statement she made to ABC News before she left Tucson. "My children would never do a thing to me like that, holding me against my will," she said. "It's very stupid for people to think that." She said then that she was devastated at learning she had lost guardianship of her grandchildren and said the action "was based on a bunch of lies." In the aftermath of what her attorney Perry Sanders Jr. called "the chaos," Katherine Jackson asked for a meeting with TJ Jackson and the lawyer to find out what was going on. As a result, she said, she decided that TJ Jackson, who had been an unofficial co-guardian of the children, needed legal authority in case something happened in her absence. Beckloff said during a hearing after Jackson resurfaced that an investigator who looked into the children's care found the late pop star's 82-year-old mother was an excellent guardian and the children love her. "I think the kids are in terrific hands," the judge said. "It appears from the report that Katherine Jackson has done a wonderful job and cares about the children very much." Beckloff noted that the children also have a close relationship with their 34-year-old cousin TJ Jackson, who was named temporary guardian last week after working closely with Katherine Jackson since Michael Jackson died. TJ is "incredibly respectful" of the family matriarch and she is respectful of him, the judge said. Beckloff said he will finalize the arrangement later this month but for now will issue letters of co-guardianship allowing both Jacksons to make decisions about the welfare of the children. TJ Jackson's new co-guardianship status is temporary, but the judge could make it permanent when he convenes the next court hearing on Aug. 22. The shared guardianship plan is apparently designed to remove pressure from Katherine Jackson who was previously named in her son's will as the children's sole guardian. Sanders has said the arrangement will allow her to focus on the children's upbringing and not on home or logistics issues. The changes in guardianship come on the heels of family dissension over Michael Jackson's will, which left nothing to his siblings when he died three years ago. Several of them signed a letter that was leaked to the media alleging the will was a fake and calling on executors of the estate to resign. On Wednesday, Jermaine Jackson issued a plea for peace in the family and withdrew his support of the letter. He wrote that the family is still raw from Michael Jackson's death, and his mother has endured incredible stress and pressures since then.